This specification establishes the procedures and controls for Supplier Product Assurance Requirements (SPAR). Supplier Product Assurance Requirement clauses, in addition to those shown on the Engineering Drawings, are specified by number of the Ciao Wireless purchase order, and are incorporated as part of the Ciao Wireless purchase order. Click here for Pdf form. Mitigation and Disposition.Maximize availability of authentic parts. Assure authenticity and conformance of procured parts. And Report counterfeit parts to other potential users and Government investigative authorities. 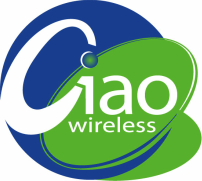 Ciao Wireless is committed to a work environment that is free from human trafficking and slavery, which for purposes of this policy, includes forced labor and unlawful child labor. Ciao Wireless will not tolerate or condone human trafficking or slavery in any part of our organization. This policy is consistent with Ciao Wireless’s Code of Ethics and Business Conduct and our core values to protect and advance human dignity and human rights in our business practices. Ciao Wireless employees, contractors, subcontractors, vendors, suppliers, partners and others through whom Ciao Wireless conducts business must avoid complicity in any practice that constitutes trafficking in persons or slavery. Click here for Pdf file.